MEMBERS :: MEETING MINUTES FROM OUR BOARD OF DIRECTOR'S MEETINGS, ANNUAL GENERAL MEETINGS, AND MANY LEAGUE MEETINGS ARE NOW AVAILABLE FOR YOUR REVIEW. CLICK ON THE MEMBER DOCUMENTS TAB TO ACCESS THOSE DOCUMENTS. 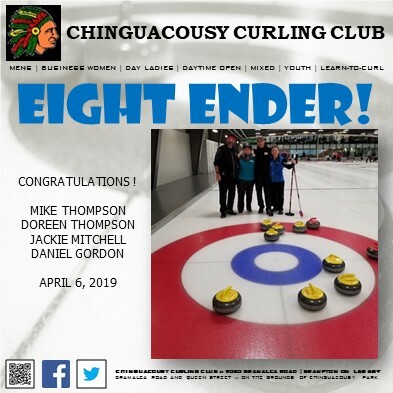 THE 2019 SEASON SUMMARY EDITION OF THE CHING CHATTER IS NOW AVAILABLE. THANK YOU TO JULI ROSLIN FOR CONTINUING TO PRODUCE THIS FOR OUR CLUB. 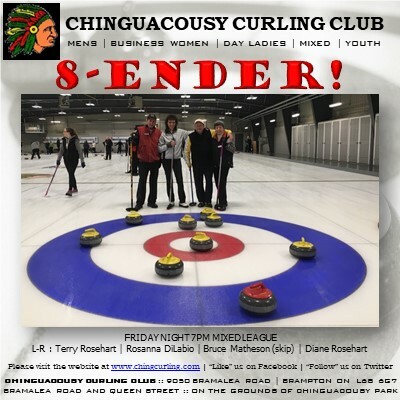 CHINGUACOUSY IS LOOKING FOR NEW MEMBERS! WE NEED YOU! 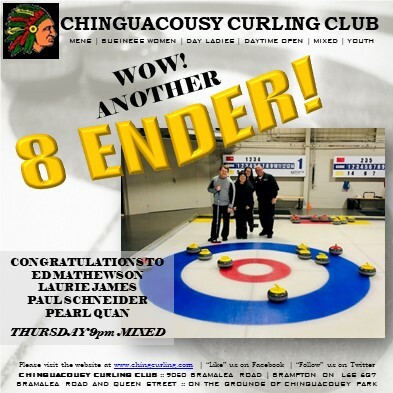 IS THIS THE YEAR YOU START CURLING? WHAT ARE YOU WAITING FOR? Do you watch curling on TV and thought "I want to try that?" 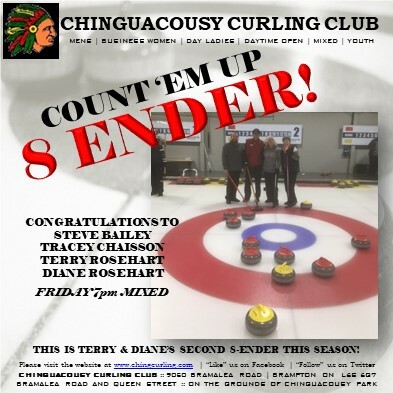 Make the fall of 2018 the time that you give curling a try, and jump into one of the many leagues that Chinguacousy has to offer! Our club offers curling for all ages and skill levels from social to competitive, and beginners are always welcome! The club hosts clinics throughout the year to help you get started in curling and hone your skills, while offering a fun and social atmosphere! We offer individual or team entry into our Men's and Women's Leagues, as well as individual or partnered (eg. Husband/Wife, Brother/Sister, Friend/Friend) entry into our popular Mixed Leagues. Have kids who would like to curl? Our fantastic youth program is always welcoming new curlers in an inviting and fun environment led by qualified instructors. To learn more about our leagues, click here for more information. Also, joining an adult league has never been more affordable!!! Sign-up today as a New Member by clicking here, and save 25% off your 1st League! For more information on our Membership Rates, click here. NEED A SPARE? WANT TO SPARE? With the start of the curling season upon us, there will be many occassions through the season where you will require the services of a spare to fill in during your league night(s) at the club. Likewise, there will be other members who will be looking for an extra game or two via spare opportunities.